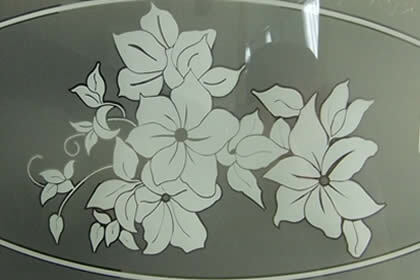 Sandblasting is a method of frosting and obscuring glass. 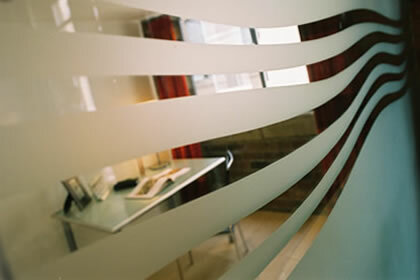 Frosted/obscured glass establishes or increases privacy whilst still allowing in the infusion of daylight. 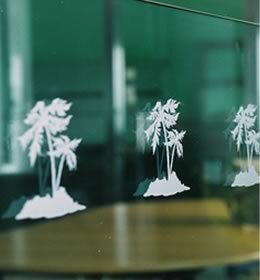 Sandblasted glass is ideal for windows, glass screens and manifestations on glass partitions and glass doors. It is a very effective method of accurately reproducing lettering, logos and decorative patterns on corporate signs and interior fixtures. 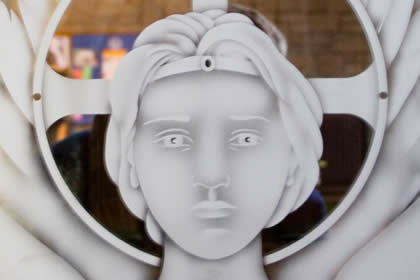 Sandblasting involves pressure spraying aluminium oxide over the surface of the glass (also marble or granite). 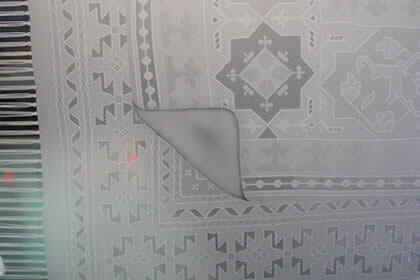 The design is created by masking off areas with a protective film, whilst blasting the unprotected areas. The depth and degree of translucency of the frosted/obscured glass can be varied by adjusting the force used and the type of sand. 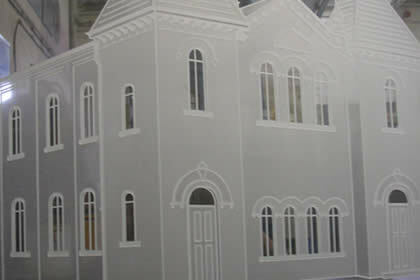 Sandblasting is a flexible technique and both fine and 3D effects can be achieved in line with your requirements. 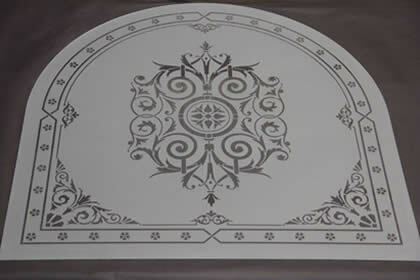 Sandblasted designs are permanent and will not be damaged by cleaning. 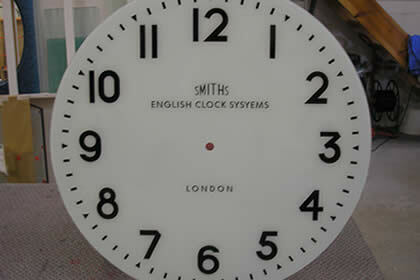 Our expert craftsmen can combine a sandblasted finish with other effects, including cut vinyl and painted. Contact us for details. Ordinary decorative/sandblasted glass easily and rapidly loses its visual appeal through staining, especially from fingermarks. Maintenance is very difficult if not impossible. 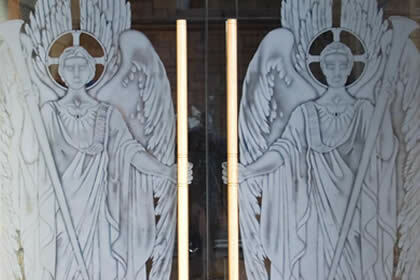 However, protection with award-winning ClearShield® is the ideal solution as it resists fingermarks and staining, maintaining the intended beautiful appearance of decorative glass. 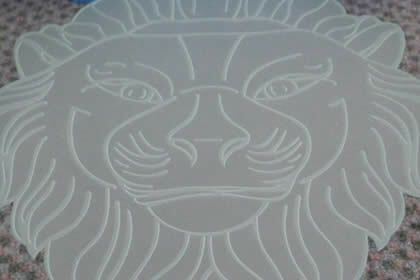 ClearShield’s unique ‘non-stick’ technology reduces cleaning frequency and effort by 50% on average. ClearShield has also been independently proven to resist the adhesion of bacteria, so it is much more hygienic than ordinary glass. 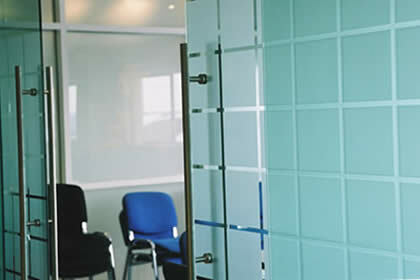 For more information on ClearShield glass surface protection contact us for details, or visit www.ritec.co.uk.